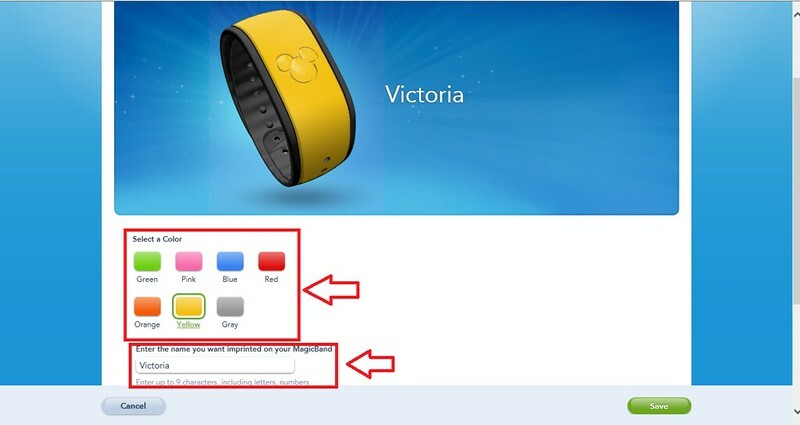 Disney Magic Bands are a part of the new My Disney Experience technology which is currently being implemented in Walt Disney World. 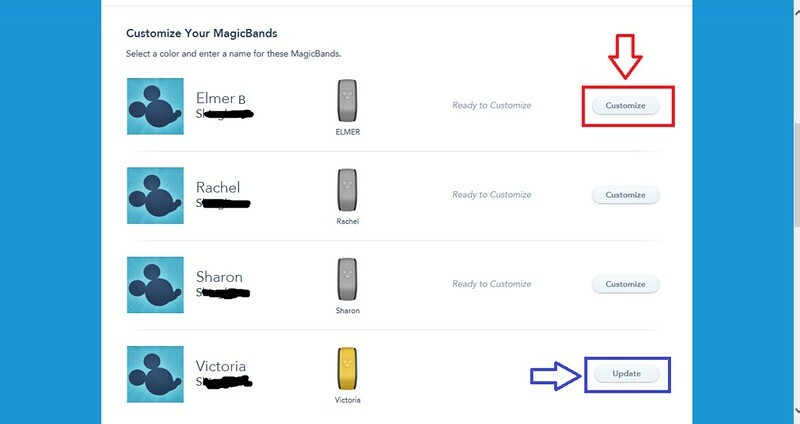 At this time, Magic Bands are still in the beta testing phase, and only guests staying at select Walt Disney World resorts have been invited to test. As this technology is continuing to change, it is important to note that this tutorial was written on September 13, 2013 and may quickly become outdated. Magic Bands are soft, rubber wrist bands that contain an RFID chip. Guests will be able to have their credit card, resort key, park tickets, dining plan, FastPass+, and Photopass+ package linked to their Magic Band. So instead of swiping your key card with a magnetic strip, you'd simply tap your wrist band against a sensor to enter the park or FastPass queue or pay for a meal. You are not required to use the Magic Bands and may instead opt to use a traditional RFID-enabled Key to the World card (however, during testing, anyone who wants to use FP+ must use the bands). These bands are waterproof and can be worn in the pool or at the water parks. The band only comes in one size. However, there is a portion of it which is removable so that it is a better fit for smaller wrists. These bands are intended to be brought back to Walt Disney World for years and have a 3-year battery life. 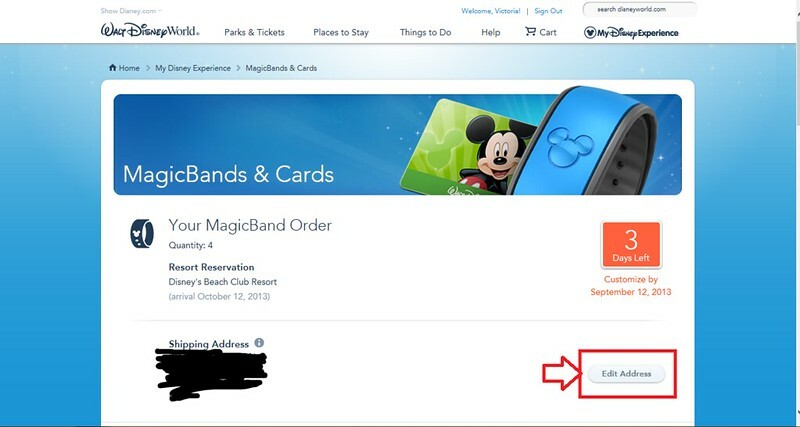 When Magic Bands are first added to your My Disney Experience account (you will first need to add your Disney resort reservation to your account), they show up as basic grey. Unless you go in to customize your Magic Bands, everyone in your party will get a grey band. 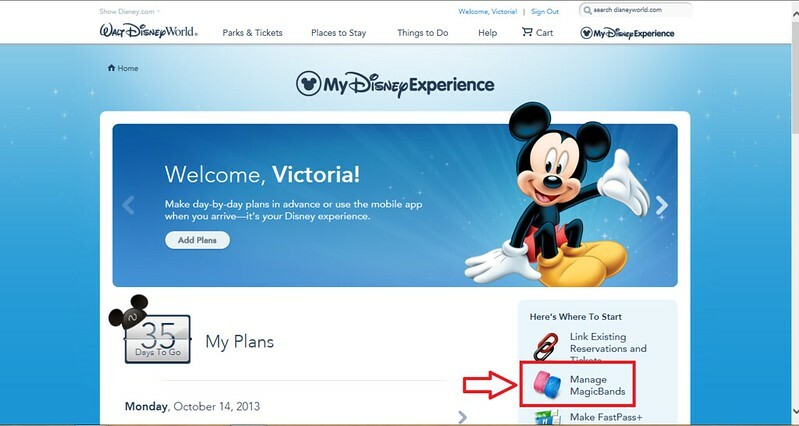 In the grey panel on the right-hand side of the screen, click on "Manage Magic Bands." 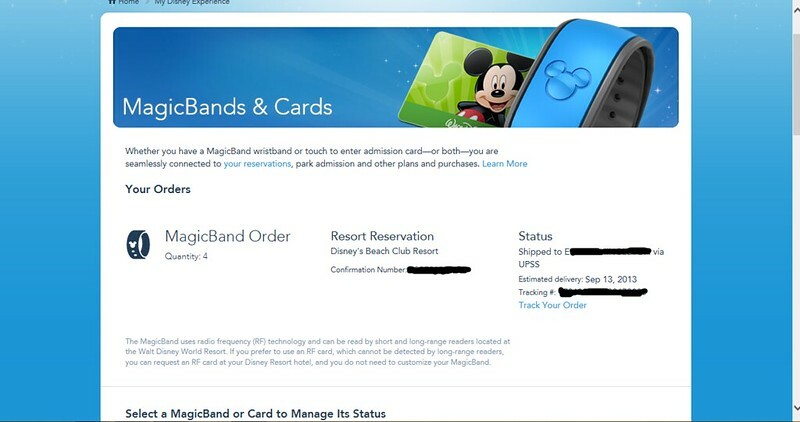 When I added my resort reservation, My Disney Experience automatically ordered four Magic Bands for me. The first thing you'll want to do is change your shipping address. My shipping address had automatically been set to Travelocity's address.... which meant my Magic Bands would've been sent to Texas and then who knows where? Click "Edit Address" and enter the correct shipping information. If you scroll down on the same page, you'll see the names of everyone in your resort reservation and a grey band beside each. To change the color of the band, click "Customize." You'll notice that I already changed the color of my band at the bottom, and that I have the option to "Update" to change the color again. 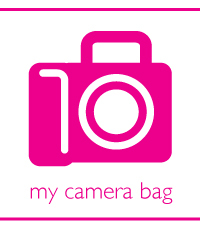 The current color options are green, pink, blue, red, orange, yellow, and grey. I hope that they eventually add a purple. Click on the color that you want your band, and it will automatically update the color of the band beside the name at the top of the screen. You also have the option to change the name written on the Magic Band. This is a good option for people who don't go by their first names. For example, when I went to customize my Dad's Magic Band, his name was automatically entered as "Elmer," and I was able to change it to "Boyd" which he goes by. 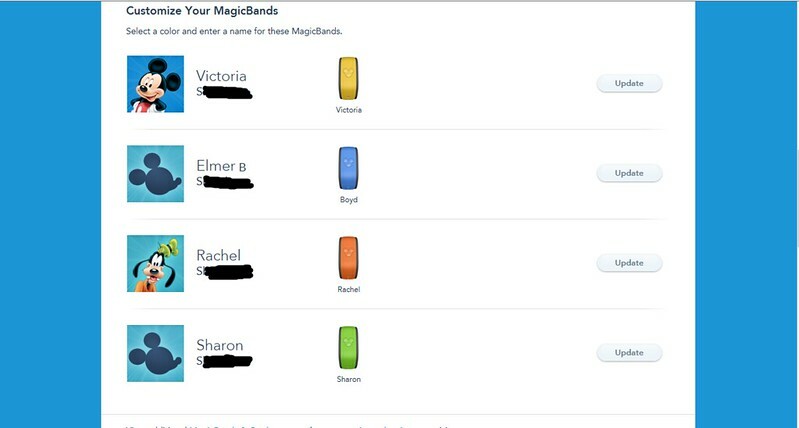 When you're finished, the color and name on each Magic Band will appear beside their name. You'll have the option to update the bands until they have been shipped. Once they've shipped, you'll receive a tracking number for the package. 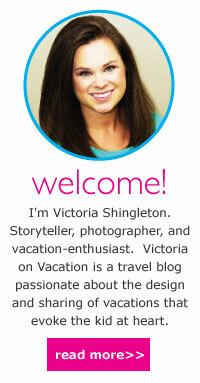 Click here to read my Disney Magic Band Review.